← Walker and Neggers Winners! Patricia Rosemoor Thrills us with Animal Instincts! Luc Lazare doesn’t need more complications in his life. And Skye Cross, the intriguing woman able to communicate with animals, is the last thing he wants. Too bad his body disagrees. But he’s trying to save his shapeshifting family from being forced into the battle arena, and that means protecting the shifters responsible for stealing Skye’s brother’s soul. Even as she demands his help, he’ll have to resist the pull of temptation. Skye’s most recent animal rescue assignment involves saving canines involved in primal battles. Her investigation leads her to Luc, a man whose powers unsettle but intrigue her. Luc lures her into a dark encounter, and realizes that the animals engaging in these battles aren’t dogs at all, they’re wild predators. Skye finds herself caught in a dangerous world she never knew existed while relying on a man she couldn’t possibly trust. In a world where everything–and nothing–is as it seems, can Luc and Skye find a way to overcome the odds that are destined to keep them apart? Lena: LOVE the cover. Yum! Patricia, you write romantic suspense and paranormal. Do you prefer one over the other? Plan to continue writing both? Which one was your first love? Patricia: I like both romantic suspense and paranormal romantic suspense, and I plan to continue writing both. I started with romantic suspense, because that’s all Harlequin Intrigue would publish for the first few years. I was the first Intrigue author to be allowed to add a paranormal element when I wrote Haunted. Then, a few years later, I got to write the initial three books in The McKenna Legacy, the first paranormal series at Intrigue. In coming to Entangled, I sold with a straight romantic suspense, but my latest, ANIMAL INSTINCTS, is all paranormal. Lena: As you mentioned, you’re published with Harlequin Intrigue and Entangled. But you are also self-published. Do you have any lessons-learned while trying to write with a traditional publisher, a smaller press publisher, and Independent? Or challenges writing all three that you’d like to share? Lena: Tell us about your newest release? What inspired you to write it? Patricia: ANIMAL INSTINCTS came from my volunteering at PawsChicago, a very successful animal adoption center. The Humane Society of Illinois held meetings there about anti-dog fighting legislation. Most people probably don’t think much about it, but hearing the stories, seeing the footage of the real thing–of children learning to make their dogs fight–broke my heart. I wanted to use dog fighting to spread awareness, but I quickly realized that books with dog fighting wouldn’t sell, so I made the fights shifter fights–shapeshifters fighting in their animal form. Then the fights took on a whole new, more interesting aspect. Skye Cross, an animal advocate, goes to a fight with Animal Control, expecting that after the fight is broken up, she will see that the dogs are properly cared for. What she gets instead is to be thrown into a world she doesn’t know and doesn’t understand. And outside the arena, she meets a man she can’t possibly trust. Luc Lazare is half-human, half-Kindred. He’s a shifter (panther) caught between the two worlds of his parents. When Skye’s cop brother who was investigating murders linked to the fights is shot to death the next night, Skye is determined to find his killer, and Luc Lazare is the only man who can help her. Lena: That sounds like a seriously intense story. Awesome. Would you like to share a call story with your readers? Either the “call” when you first sold (or got an agent) or perhaps were a finalist/winner in a contest? Patricia: For me, both happened one after the other. I won the Golden Heart for best YA Romance from Romance Writers of America. In those days editors were judges, and the Silhouette editor wrote to me personally and asked if I could expand the book. I did, sent it in and waited. I wasn’t able to go to the conference where the awards were announced and presented. Afterward, I learned I won the GH and that the editor was saying I was her author. But no call. No call the next week either. Finally, a full two weeks after the conference, she called and asked if she had made me an offer. I said no. She said she hoped I would take it because she’d already put the book into production. Lena: Oh my gosh! Now that is an incredible (and a bit crazy) call-story. Amazing. Oh, and congrats on the GH win! And the 95 stories too. What an outstanding accomplishment! How do you research all those stories? Do you have some fun or interesting research tidbits or experiences (such as trips) to share? Patricia: I don’t do vacations anymore. Now I do research trips. Once my late husband and I flew to Paris to see the catacombs, underground tunnels holding the bones of innumerable dead, which was an important part of an Intrigue. On a more cheerful vein, I’ve swum with dolphins, howled with wolves, ridden mustangs…all in the name of research. 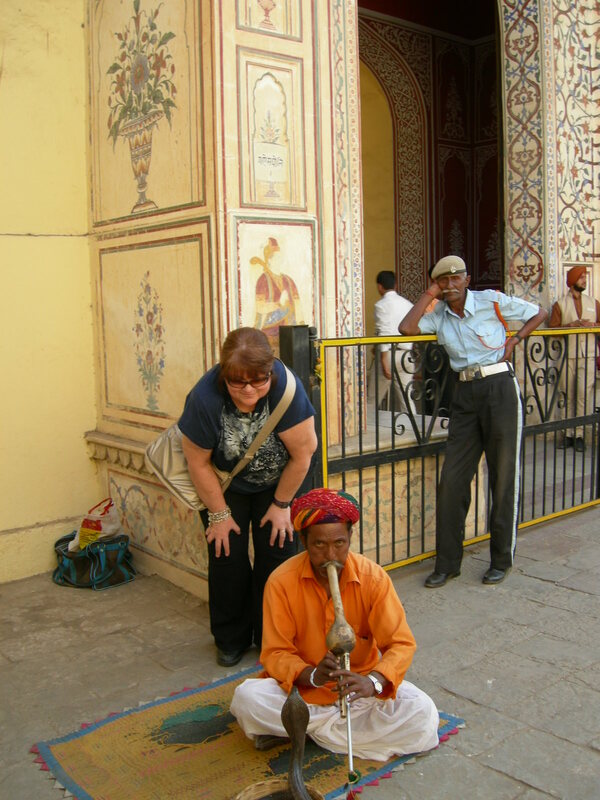 I went to India a couple of years ago with another author and her husband. I developed a novel using the India research. It’s on submission now. Lena: Very cool! When you’re back home relaxing after these exotic trips, do you have any favorite television shows? Crime dramas? Paranormals? Patricia: I watch quite a few crime dramas. The Closer was one of my all time favorites. The other being Castle, of course. 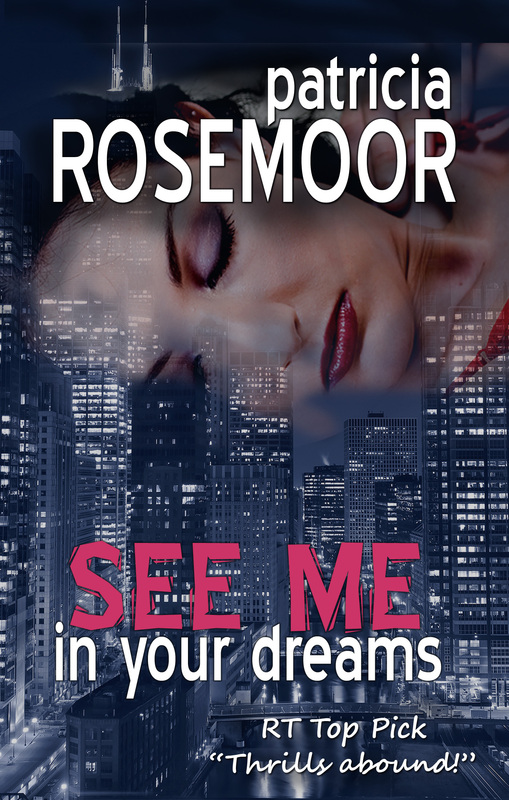 Romantic suspense and great fun. The characters in both are wonderful, the touch of humor balancing the grimness of a murder investigation. I try every paranormal show that comes on, but most don’t make the grade. Buffy the Vampire Slayer is my all time favorite. I saw every episode of the show at least twice. Currently the ones I really like are Teen Wolf and Grimm. And Sleepy Hollow has possibilities. * Beaches or Mountains? Water! Not necessarily the beach, just the view. * Favorite food? Ethnic Eastern European, which I grew up on. You can pre-order ANIMAL INSTINCTS or CRIMSON DUET (HOLIDAY IN CRIMSON and NIGHTMARE IN CRIMSON packaged together for $3.79), both going on sale November 25. And this is the launch week of DANGEROUS ATTRACTION, ROMANTIC SUSPENSE BOXED SET, ten romantic suspense titles by ten bestselling authors (including Patricia’s The McKenna Legacy: SEE ME IN YOUR DREAMS), for only 99 cents through November 16. Lena: Thanks again Patricia! You’ve been a wonderful guest. And now a question for our readers…Patricia would like to know–Which do you prefer: romantic suspense or paranormal romantic suspense? And why? 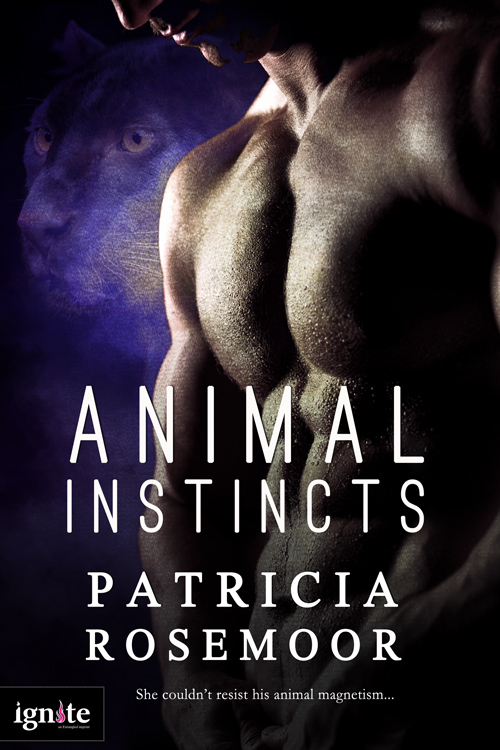 One lucky commenter wins an ebook copy of ANIMAL INSTINCTS (via Amazon.com gift certificate) from Patricia Rosemoor. Don’t forget to stop by Thursday to find out if you are a winner! Posted on November 11, 2013, in Author Interview, Lena Diaz and tagged Animal Instincts, Harlequin Intrigue, Lena Diaz, Patricia Rosemoor, Romantic Suspense, Romantic Thriller. Bookmark the permalink. 34 Comments. Patricia, thanks again for joining us today. It’s always fun! I like both and I think it is because of Linda Howard. She has written both types of suspense so well that it I am just looking for a good story with tension and chemistry between the characters. Lena — thanks for having me! And Maureen, I agree fully. So glad to have you here, Patricia. Thanks! I’m still in awe over the 95 books you’ve written. And Maureen, I’m a total fangirl for Linda Howard. I’ve met her at signings and could barely speak! Great interview Lena and Patricia. Patricia, thanks so much for joining us today. What an amazing career. Thanks for sharing your insights and fun to get to know more about you! Welcome back, Patricia. Wow, that IS an amazing call story and I’m so impressed with your 95-book backlist! Sheesh. My favorite reads tend to be straight RS, although throwing an intriguing and unusual paranormal element can certainly captivate me. Best of luck on sales for Animal Instincts! There’s a huge November drive for PAWS Houston going on right now. I like that you turned an outrage into a story to increase awareness. Sarah, I’m still on the volunteer list for PAWS Chicago, though I haven’t done more but drool over the foster photos they send for the last year or so. With Animal Instincts coming so close to Christmas, I decided that my official blog tour arranged by Entangled will be animal focused. And each time I will give links to deserving shelters and sanctuaries, and my giveaway will be a donation to the winner’s favorite in her/his name. And a holiday animal surprise for the winner, too. I thought it was really a chance to keep needy animals in peoples’ minds during the season of giving. What an awesome idea for your blog tour giveaways, Patricia! There are so many rescue organizations doing great work. How nice to highlight them on behalf of readers. I agree, I am so impressed! Loved the interview, loved the premise of Animal Instincts (cats are my favorite shifter! ), and loved your answers. Consider me a fan. I was strictly PNR for the longest time, but then…I read an Elizabeth Lowell, a Carey Baldwin…and discovered Lena Diaz as well 😉 I love both genres and look forward to discovering your work as well, Ms. Rosemoor! Thanks for the shout out, Carmen! And for stopping by today. Welcome back to Kiss and Thrill, Patricia! I enjoy Paranormal RS, but my first love will always be straight RS. Romantic suspense is one of my favorites and I love it when there’s humor and recipes. It’s great to have you back to K&T, Patricia! I generally lean toward straight RS, but there are certain paranormals I enjoy as well. I tend to prefer when they’re based in the real world where the humans are mostly clueless, like those by Christina Dodd. Animal Instincts sound fabulous. I’ll definitely have to check it out. 95 books! Wow! Great interview ladies. Kim — I hope it’s something you would enjoy. Don’t forget, readers. It’s not too late to win a copy of Patricia’s latest release. Answer her question for a chance to win! Thanks, Mona. I hope you enjoy it. Thanks Mona! Good luck in the drawing.